As schools deploy mobile web capabilities, students have the ability to connect anytime, anywhere giving universities an important tool to engage and connect with university target markets. 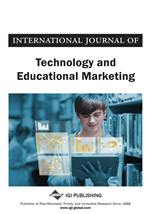 With mobile based internet usage expected to exceed desktop usage within the next four years this study focuses on understanding the role of this technology in connecting with prospective and current students. Research conducted with college students demonstrates that the usage of mobile technology is highest among this age segment and must be taken into consideration when communicating to its student base. Furthermore, the implications from this study suggest that mobile app features have value for current students and is in line with their usage of mobile technology and represent an important channel for reaching students. Finally, the paper focuses the need to develop content that can be measured and analyzed for effectiveness and that is in line with the university’s brand. Students were epitomizing more and more what Prensky referred to as “digital natives” (Prensky, 2001). The mobile phone is becoming their first source of information. Jason Katcher, Head of Education and Recruitment Advertising at Google further describes how mobile devices are becoming an extension of who we are: “The phone has a microphone, which gives it ears. It has a camera, which are its eyes and a speaker, which gives it a voice. The touchscreen is its skin. And its GPS is a sort of internal compass that always knows where it is at” (Datamark, 2010). Instant information gratification: Thanks to such sources as Google and Wikipedia, we have become “addicted to answers anywhere, anytime.” This addiction creates the need to be constantly updating educational websites and making them easily accessible. Increasing spontaneity. What’s going on now becomes as important as where is the nearest coffee shop. This has implications for student development and life on campus. Never lost. Finding locations on a college campus should be a thing of the past. Perpetual connections. More than 150 million users of Facebook access it through mobile devices and are twice as active as non-mobile users. Think about how this fits into creating and communicating the campus experience (Wheaton, 2010). Furthermore, Chapel (2008) stated that “the proliferation and adoption of cell phones and the internet has led to today’s college student selecting them as their main communication gateway” and the challenge facing today’s institutions of higher education was to adapt to the students “preferred method of communication: the cell phone.” And it is expected to further take off in importance. In a whitepaper published by Datamark in 2010, Paul Reddy, President of Datamark stated “With mobile, the medium truly is the message; it has the power to shift the conversation we have with our prospects in significant ways.” As schools deploy text communication and mobile web capabilities, they give students the ability to connect whenever they have time—whether searching for continuing education information during their coffee break or receiving and responding to enrollment advisors while they’re out with friends.